Lux Labs develops advanced optical materials using cutting edge nanophotonics and polymer fabrication methods. 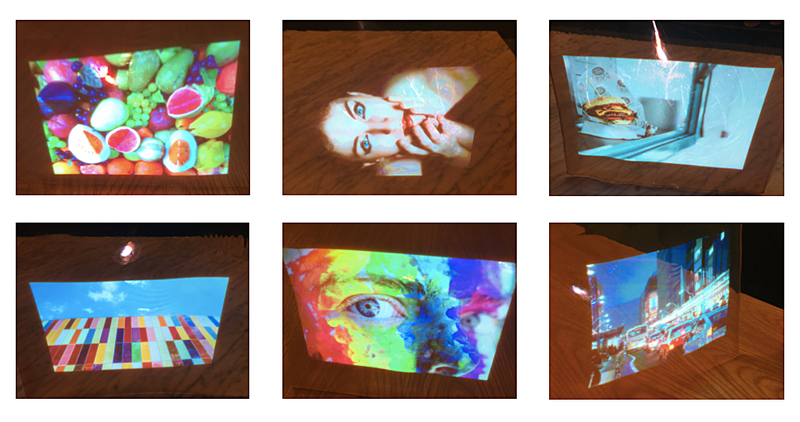 Lux Labs’ first product is a transparent display which shows vivid full-color at 360 degrees. First revealed at MIT, Lux Labs has improved the transparent display to maintain high transparency and increase display brightness for all colors. Working with a projector, our film can be applied to any glass to magically change a transparent window into a bright display screen. Lux Labs has developed a scalable production process and is seeking partners for distribution.